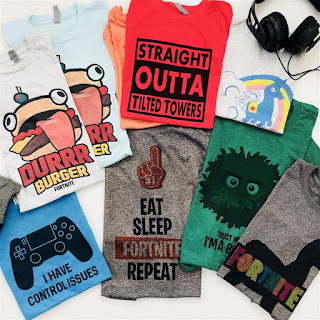 Head over and check out these Gamer Tees | Youth + Adults ONLY $12.99 (Retail $26.99). Super fun designs for Dad and kids! Get matching or coordinating designs in Sizes Youth Small to Adult 2XL. $3.99 for the first item and $2.49 for each additional item. US only. Ships no later than Fri, Oct 26.